Now 31 states have adopted some version of this language in comment 8 to Rule 1.1, according to legal technology journalist Robert Ambrogi who maintains regularly updated information about the comment adoption on his blog. Many of the legal technology community thought this comment was so obvious in today's times that it was difficult to understand those who object to the comment. Reading an article in The New York Times this summer titled Thermostats, Locks and Lights: Digital Tools of Domestic Abuse made me think about how the lawyer who works in the family law arena faces a vastly different set of technology concerns (and competencies) about client safety and privacy compared to just a few years ago when few were familiar with the Internet of Things. But there's more to this than just telling a client to change their WiFi password. So I wrote Technology Competence for the Family Lawyer as both a thought exercise and a guide for family lawyers. The question I attempted to answer is broad: What do you need to tell today's family law client about what that should be done to digitally protect oneself in the event of a separation or divorce, especially when the client may not have set up or be very familiar with the technology they are using? I'm sure I missed something but am pleased with the result. And while asking for social media shares sometimes comes across as self-promoting, I believe that there are many family lawyers that would like to read this column. So feel free to share or ask us about reprint rights. ABA TECHSHOW was held March 8 - 10, 2018. So the column, A Brief Recap of ABA TECHSHOW 2018, by me and OBA PMA Darla Jackson is not exactly "hot news." Such is the result of print publication deadlines sometimes. But only a few of the previous TECHSHOW 2018 reviews mentioned the interesting relationship between TECHSHOW exhibitor Logikcull and the Ramones or provided you with the Electronic Discovery Reference Model chart. And I know this is the only recap which quoted Tom Mighell on "non-records." So hopefully this recap was worth the wait. While I am tempted to describe this column more, it is probably best if I pause and just let you read our column. The next ABA TECHSHOW is scheduled for February 27 - March 2, 2019 is Chicago. Mark your calendar now. It has been Collaboration Week for lawyers. It's not like the ABA or Congress designated it as such, but that still seems to be the case. For this edition of Friday Tech Tips, we asked the practice management technology experts: “What’s your best tech tip for collaborating well with others?” Here’s good advice from Jim Calloway, Andrea Cannavina, Jared Correia, Darla Jackson, Dennis Kennedy and Tom Mighell, Catherine Sanders Reach, Deborah Savadra and John Simek. There is some good content in that post. And wisdom from two Oklahomans. 😊 What more could you want? 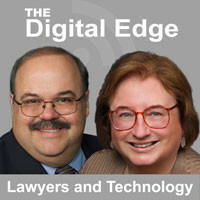 This week our Digital Edge podcast was released. The topic is The Case for Collaboration and our guests were Dennis Kennedy and Tom Mighell. They co-authored The Lawyer’s Guide to Collaboration Tools and Technologies: Smart Ways to Work Together, Second Edition, which was recently released by the ABA. Since Dennis and Tom also have their own long-running podcast, the Kennedy-Mighell Report, no one will be surprised that our end result was a fun and easy-to-listen to podcast. Today's collaboration tools provide new opportunities for lawyers--if they take the time to learn about them. Keeping the customer satisfied should be an important of every business today. This includes law firms, even though we refer to our customers as clients. My column in the Oklahoma Bar Journal, Keeping the Customer Satisfied, outlines some ideas to do just that. One of the first rules is to not do things that aggravate the customer, like having them waste time in the the law firm's waiting area for a long time after their scheduled appointment. "With medical services, a sick patient can become well or a broken bone will heal. With legal services, successful delivery of the services is often couched in terms that were previously not familiar to the client like decrees, court orders, injunctions, closings and the like." Take this opportunity to read these ideas and then think about what you can do to improve client satisfaction. As an additional bonus today, here is some appropriate music for your inspiration as you consider how to make your current clients "clients for life." There have been a number of recent conferences focused on the future of law practice and the delivery of legal services. It's too bad I can't attend them all! Someone recently reminded me of a time I was invited to speak to the ABA's Bar Leadership Institute, the annual training for bar presidents and presidents elect. 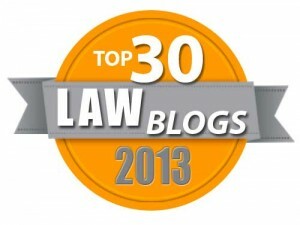 Several of us were asked to do Ted-style short talks on the future of law practice. If talking to a large gathering of accomplished lawyers who had been chosen as leaders by their peers wasn't intimidating enough, my talk followed one by then ABA President William C. Hubbard. I decided to watch the video again, fully prepared to cringe at how dated it might have become since it was delivered in 2015. But this short talk is still relevant today. Many people look at the challenges of legal services delivery today and blame lawyers for the problems. But lawyers work within the system. Many clients need legal counseling as a part of finding a solution to their legal problems. I remain unconvinced that all of the perceived problems we face today can be solved with for-profit online services, as some of their spokespersons contend. The solutions to many of today's complex problems don't lend themselves to fill-in-the-blank answers. Our population and the complexity of matters handled in our courts has increased while budgets for many courts have been at as standstill level or reduced. Innovation takes time and money. There is no doubt that business practices for all types of businesses are evolving today. Email replaced much of postal correspondence. That was more efficient and often saved money for the law firm's clients. But now there are email security concerns that never existed with sealed and stamped correspondence. Rapid change has benefits and unintended consequences. Solo and small firm lawyers help clients across the world every day. While this "Take on the Future" presentation was intended for bar presidents, it is still good for today's lawyers, particularity solo and small firm lawyers. More effectively using digital client files, improving efficiency and automation, particularly automation of the document creation process, should be on their agenda. Serving your client's best interests has always been your mission and it will always be. It's just times and the tools- they are a-changing. GPSOLO is a fine and useful publication. Update: Read this issue soon. When the new issue is posted, the previous one is archived where access is apparently is restricted to members of the ABA Solo, Small Firm and General Practice Division. One odd thing about GPSOLO magazine is attorneys who are not ABA members are not allowed to subscribe to the magazine ($135.00 per year) because they are "individuals not eligible for ABA membership." Since many solo and small firm lawyers are not ABA members, that seems a bit short-sighted to me. So if you enjoy their great content, you need to make sure and log in to read it at least every other month. By contrast the subscription costs for ABA's Law Practice Magazine is $64 per year with no such restriction noted. Congratulations to all of the GPSOLO Magazine editorial team on such a fine issue! Managing a Law Practice in the Age of Intelligent Machines represents my attempt to speak to those lawyers who are perplexed by the number of things they are reading and hearing about law office automation and artificial intelligence replacing lawyers. That can happen and I cite one example where it has happened already. But many, hopefully most, lawyers will be using automation and AI to better serve their clients. I hoped to provide a general framework of when automation makes sense and how the law evolves to make particular legal processes more amenable to automation. Law firm consultant Jordan Furlong has it right. In this column, I noted his observation that lawyers should learn to fight with, not against, the intelligent machines. This column was published in the March/April 2018 issue of Law Practice magazine, which is its Marketing issue. Among the many great articles in this issue are Developing a Marketing Mindset by Wendy L. Werner, Social Media Marketing Has Gone Viral by Dan Pinnington, Moving Beyond the 'Practice of Law' by Jordan Furlong (Yes, him again! ), Do Lawyers Need a Digital Detox? by Sharon D. Nelson & John W. Simek and The Showdown: Amazon Echo Versus Google Home by Tom Mighell. Lawyers have been working with machines for a long time. The IBM Selectric typewriter was a law office favorite because it could save and automatically regurgitate sentences and paragraphs into documents. That was smart technology at the time. There's a lot of talk about lawyer wellness— and there should be. The practice of law is a demanding profession. The emotional and psychological toll it takes on lawyers is well documented. But I saw a Twitter thread today that would seem counterintutive to many wellness advocates because the author says the first thing the lawyer opening a practice needs to do about wellness is to see a CPA. I won't recap the author's entire message in this post, but she has a lot of important observations. You can read the thread by clicking on the graphic below. I am a big fan of lawyer wellness. I've noticed lately that the only ones I see preaching it are people who only do law part-time because they have a secondary source of income. From someone who was solo, without any backup, let me say, it is still possible to be healthy in law. I've been teaching our free Opening Your Law Practice program in Oklahoma for many years. The next edition is May 1, 2018. Oklahoma lawyers and those awaiting Oklahoma Bar Exam results can see the schedule and get sign up information here. (Sorry, no online version yet. You have to show up in person.) We have breakfast and lunch provided by Oklahoma Attorney's Mutual Insurance Company and so advance registrations are strongly preferred. We will have an audience of new lawyers, but we also typically have quite a few veteran lawyers as well, either wanting a refresher or facing a career change. Once a retiring judge came up after the seminar and told me this was the most valuable seminar he had ever attended. As I beamed and thanked him, he continued, "There's no way I want to do all of that." He found employment with flexible hours instead, so maybe it was a great program for him. But now I have something new to add to my program. For lawyer wellness, your health care professionals are important, but so is your CPA. Who says Twitter isn't valuable? Those who cannot attend our seminar can still take advance of our free OBA MAP Starting a Law Practice Directory of resources. You do not have to be an OBA member. Leadership and management are two different concepts. But both involve working with others to reach common goals. Leadership in a law firm is challenging because lawyers are by their nature very independent and once a law firm has more than a handful of lawyers, there will be lawyers with a number of differing ideas and goals. The litigation lawyers look at world differently than transactional lawyers. Legal assistants often feel more loyalty to "their" lawyer than the firm. Members of a practice group may tend to see things the same way, which may be different than other lawyers in the firm. There can be generational differences in attitude, but these differences can also be based on one's remaining time with the firm. The partner retiring next year will probably vote against spending money for major technology upgrades this year. And let's face it, some smaller law firms have a business or compensation structure that means they are really an office overhead sharing arrangement between solo practitioners instead of a single business entity, which makes implementation of projects like a unified marketing plan difficult, if not impossible. My commute involves a bridge over the Oklahoma River, so I am often treated to seeing rowing teams practicing. The precision and coordination of a rowing team is quite impressive. My column Unity of Direction in the January/February 2018 issue of Law Practice Magazine addresses the challenges of getting a team of lawyers and staff to all "row" in the same direction. I hope you enjoy the column. Normally I would have been more more prompt about blogging about this column, especially since the January/February 2018 issue of Law Practice Magazine is a technology-themed issue with many interesting articles about law office technology and its impact on the practice of law. I'm sure part of the reason for the delay is that I was so enamored with Dennis Kennedy's column in that issue, Thinking Smartly about Smart Contracts, as readers recall from my prior post about it. You do not have to be designated as a leader to assist with this. I wish each of you the best as you work to help the lawyers and staff you work with to all row in the same direction. A few weeks ago I wrote about Dennis Kennedy's feature on Thinking Smartly About Smart Contracts. My link to his blog post had an additional link to his useful discussion of blockchain. It seems to me that smart contracts will catch on relatively quickly, especially with big multinational corporations doing business in many countries. Ken Grady has written something about a vision of future of the law and legal services that merits your attention. Stagnation And The Legal Industry (Part 2) What Real Transformative Change Could Look Like contains one vision of what the law and legal services delivery could become. It is the "if I had a magic wand" scenario. He outlines some changes that are worth consideration. The challenge I see is that some of these ideas require not just changes in the legal profession's method of doing business, but in some of our current laws and practices. "Computational law. Documents have become computational instruments. Whether a contract, a plan, policy, memo, or other instrument, documents are written so that computers can execute them. This doesn’t mean that all lawyers must become programmers. Lawyers will work with experts in coding documents. It does mean that documents serve two purposes. First, as computational instruments, they remove from humans the need to interpret every provision of the document. Whenever possible, the document is “self-executing” removing humans from the loop. The computer can “read” and execute provisions within the document. Second, human-readable versions of the document are available (assembled by the computer) on screen for those times when humans need to be in the loop. Computational does not imply entirely removing humans; it does mean removing humans when they are not necessary. "As computational documents, payment, terms, and default triggers are all built into the document in a way that a computer can “read” and execute the provisions. Documents use XML (eXtensible Markup Language) coding as the standard for tagging language within the document. A computer can execute the code and generate an exception report if needed. All documents are written in the same standard code (XML, in my version of the future), so documents can be read and executed regardless of the computer platform used by a party or third-party. This interoperability is important. Legal materials can’t become isolated islands. "The same coding and interoperability concepts extend to laws. They are written (or re-written) using standard formats and XML tagging. This way, a computer can assess performance under a statute by comparing data to the statute’s requirements." He also notes civil tort law as an example. "With modern vehicles producing gigabytes of data per second, proving liability in a simple tort case will become an exercise in big data." Privacy advocates might object that this would not be a good thing, but it is hard to argue against the idea that a data dump of an automobile version of a flight data recorder from not only the automobiles involved in an accident, but those nearby would establish fault in 99% of the wrecks. Smart contracts are the low-hanging fruit in this discussion in my view because few to no statutory changes would be required. Sometimes the law must be complex, but as we look at possible changes and access to justice for all as a goal, simplification is a worthy consideration. Ken's quoted language above might sound complex to some. But if he was able to wave a wand and create a universe of interoperable legal documents and contracts as code, few would ever want to go back to the old methods of operation. When setting up technology tools, we often use the analogy of getting devices to "talk to each other." If every legal document talked to other legal documents, the results would be amazing. A client wants to expand business operations to Montana. The lawyer opens up the operating agreement that the client used last time and changes the state to Montana. The agreement reaches out to the state of Montana's machine-coded laws and provides the lawyer with a list of six instances where the differences in Montana law might impact either the agreement or this client's type of business. Acting on those six points is where the lawyer's skills and judgment come into play. The fact that what used to be a few hours of legal research has been automatically done saves the client money. The law firm still has important and strategic work to be done that requires a lawyer.